In this series we’re taking a look at homes sold at various price points around LA’s Eastside in the first half of 2017. Since homes in today’s market rarely sell at their asking price, we’ll be focusing instead on selling price. 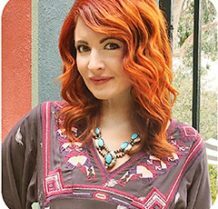 What will $500,000 get you in Eastside LA and what kind of process should you expect? Read below to find out. 5606 Bushnell Way: This little vintage bungalow is in the Highland Park-adjacent neighborhood of Hermon, also bordered by South Pasadena and Monterey Hills. It could use some updates but with 1,152 sq ft of living space, hardwoods, built-ins, and a small but private backyard it’s a steal at this price. Was asking $525,000 and closed for $480,000. 1086 W. Edgeware Rd: Calling all you tiny home enthusiasts out there! 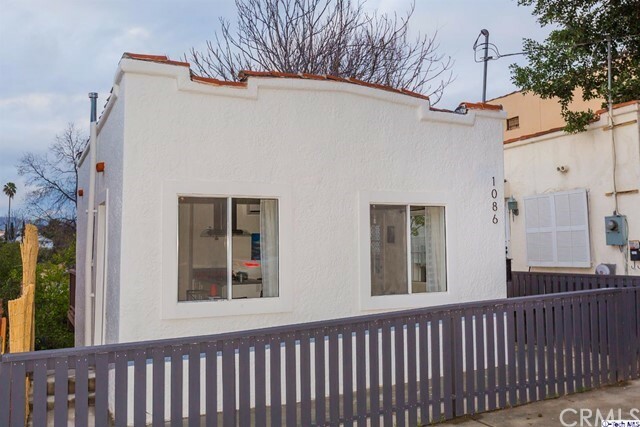 This adorable updated 408 sq ft 1bd, 1ba Spanish Home sits in historic Angelino Heights with easy access to Echo Park Lake, Sunset Blvd, and the 101. The 1,779 sq ft lot is well-situated and feels much larger than it is, plus this home has a deck and a bonus finished basement storage space. Was asking $499,900 and sold for $480,000. 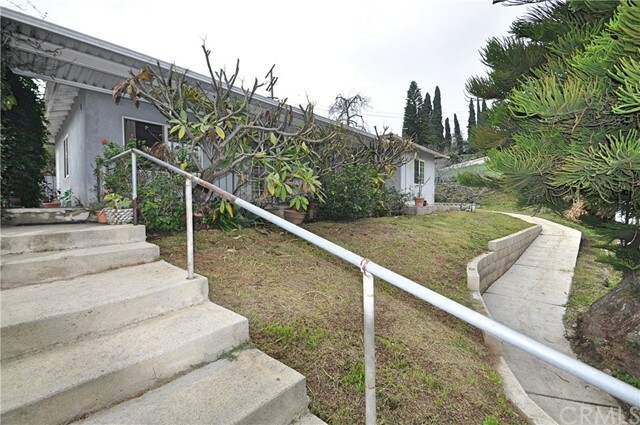 3867 Rosemead Ave: This 832 sq ft mid-century on a massive 9,600 sq ft lot in El Sereno could use some floorplan and surface updates but still has tons of potential. Not to mention Mid-Century homes are still all the rage. Was asking $439,900 and sold for $470,000. Maybe we’ll see it come back on this fall as a flip? 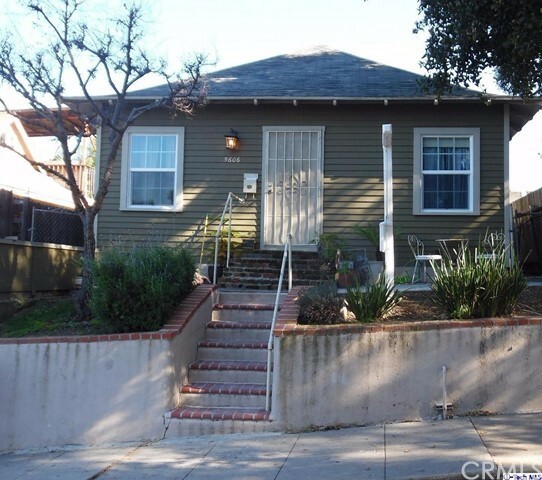 5055 Hub St: Admittedly not the cutest Highland Park house (seriously could they have at least put the shovels away before taking the photos?) and it’s only 650 sq ft but it is relatively updated and in walking distance to all the great stuff on York Blvd. Was originally listed at an ambitious $549,000 and sold for $490,000. 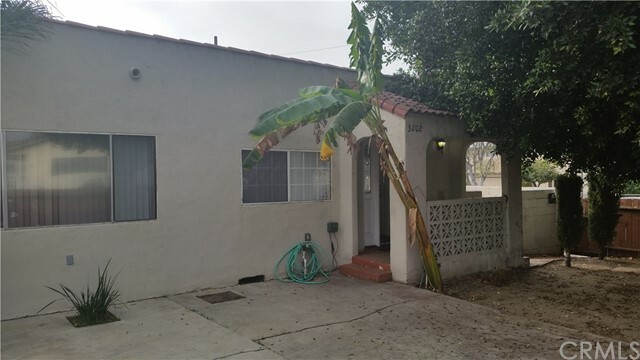 3202 Drew St: This tiny Spanish home sits on a private gated corner lot on the edge of Glassell Park with easy access to Highland Park, Silver Lake, and Atwater Village. The home would be so much better with some simple updates but overall it isn’t bad and having a completely gated property is wonderful. It does sit in a pocket heavy with rentals and multi-family homes and it has a neighborhood mural painted on one side of the exterior fence dedicated to someone who was once murdered on the block. Ouch! Was asking $449,000 and sold for $445,000. 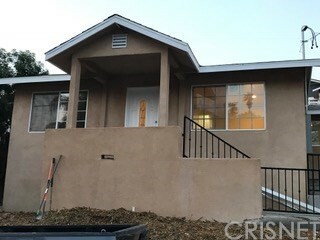 This Eagle Rock home fronts to a busy street and was being sold for land value only – still it went way over it’s $398,000 asking price, going to a cash buyer for $465,000. What to expect with a $500,000 budget: This is the hardest price point due to lack of inventory and fierce competition with cash investors and flippers. Many fixers won’t qualify for financing due to their condition so expect to see sellers requesting cash offers and properties listed “as is” with no repairs or credits granted. At this price a remodeled single family home in a hot hood will likely be around 500 sq ft and a home needing work in a more off-the-radar area will be around 1,000 sq ft. Many homes will have less-than-ideal situations such as highway noise, small lots, or apartment buildings next door. If you’re an Eastside buyer with a loan and a budget of $500,000 or less you should consider exploring some outlying areas or expand your search to include condos and townhouses. Finding a home for $500,000 or less on the Eastside can be done but it will take time, patience, and an open mind. Contact me today, I’d love to help! 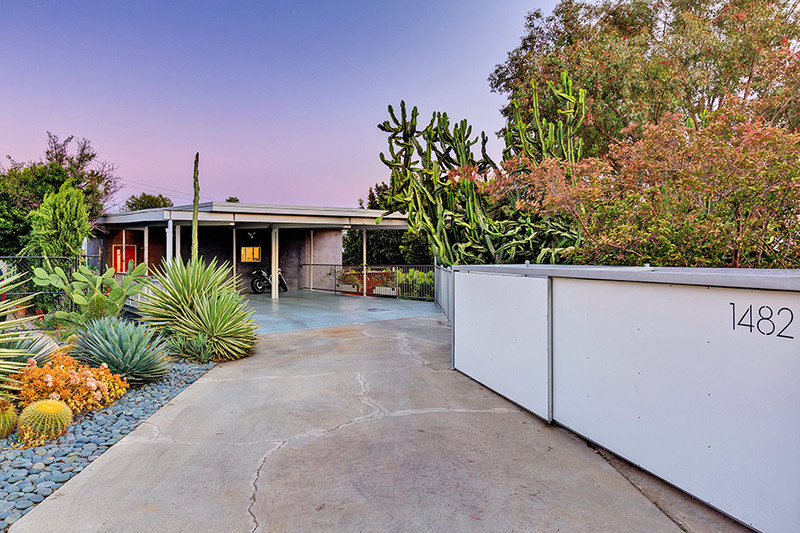 UPDATE: SOLD Silver Lake Mid-Century Treehouse with Views! Tucked into a quiet and coveted Silver Lake enclave, this 60s mid-century modern has been remodeled and reimagined with an architect’s touch. Enter from street level into the bright and airy top floor – an entertainers dream with walls of glass sliders opening to a large deck offering stunning city & sunset views. Rich walnut floors lead through the open-concept living and dining areas into a sprawling kitchen with Heath backsplash & custom cabinetry. Downstairs is a tranquil sanctuary showcasing salvaged giant Sequoia ceilings enveloped by lush trees through walls of glass which allow access to the large downstairs deck & terraced side yards from every room. This home features two master suites – one up & one down each with en suite bath – along with two additional rooms with sliding walls that offer a flexible use of space. Central HVAC, large carport and ample closet & storage space. Close to the Reservoir, Sunset Junction & all that makes Silver Lake one of the best neighborhoods in LA. This property has sold but click here to check out other properties currently available for sale in the Silver Lake & Echo Park area. Congratulations to Glendale’s newest homeowners Nate, Perrine, Julia, Elsa, and Charlotte! Glendale. Specifically Rossmoyne. Specifically the Rossmoyne Historic District and more specifically something walkable to Nibley Park. A character home: Ideally a Spanish-style home, but definitely something with hardwood floors and character accents like wood moulding and coved ceilings. Our first hurdle was timing; we started looking in the fall when inventory in Glendale was pretty low followed by the notoriously quiet holidays. Glendale has great schools and subsequently plenty of families with kids who aren’t looking to make any big moves after the school year begins. Thankfully Nate & Perrine were understanding and patient from the start, knowing that this search might take a minute and willing to wait if needed. Finding a character home in Glendale is no problem. Especially Rossmoyne, which is almost exclusively gorgeous old Spanish style homes. The problem wasn’t finding a character home – it was finding one that was for sale then finding one for sale under 1 million. Families (rightfully) hold on to these homes for many generations, so as you can imagine when one hits the market it’s usually snatched up for a high price at lightning speed, often to a cash buyer with few to no contingencies. This one was a challenge and I couldn’t be more grateful for Nate & Perrine’s patience and understanding as we consistently found ourselves outbid by cash buyers. They were putting in generous offers on homes that were technically too small for them but they were so desperate to get into something they wanted to give it a shot – and even then getting outbid by cash buyers. The day 1406 E. Mountain St came on the market we all saw the listing and frantically texted eachother at the same time. I think this could be the one! It was perfect – it’s big with lots of character, it needed work but not too much work, and it’s walkable to Nibley Park. I went to every open house to make sure the listing agent knew us and would recognize Nate & Perrine’s names when they came attached to the offer. I texted him obsessively checking in daily (sorry about that Albert!). They wrote a love letter to the seller, offered significantly over asking, and were outbid by a cash buyer. Again. But this story has a happy ending, because as you can see in the photo above there they are standing in front of their beautiful Rossmoyne Historic District home! Their offer didn’t initially get accepted but it did get them into backup position #1. I’ve said it before and I’ll say it again – 1/3 of homes fell out of escrow in the past year in Los Angeles. BACKUP POSITION IS AN AWESOME PLACE TO BE. Turns out the original cash buyer never sent their deposit and the escrow rolled over to Nate & Perrine just a few days later. That was the best phone call I’ve made this year – I love a happy ending. Congrats again Nate, Perrine, Julia, Elsa, and Charlotte! Click here to check out other properties currently available for sale in Glendale. Pretty much every home on the market right now in LA’s Eastside is getting multiple offers. With a strong economy, good job growth, interest rates near-historical lows, and plenty of cash floating around there are simply more buyers looking for homes than there are sellers looking to sell. This can sound intimidating for buyers but it doesn’t need to be. With a great agent by your side (hi!) you can conquer this market like a champ as long as you’re properly prepared for what’s ahead. It’s important to remember every home-seller has different needs. There’s no hard & fast rule for what a seller wants; cash isn’t always king and the absolute highest offer doesn’t always get the home. Maybe they’re transferring out of state next week and looking for a buyer who can close quickly with no contingencies. Maybe they need a buyer who will wait for them to find a replacement home before closing or one who will lease the home back to them after closing. All of these bargaining chips are the terms of the offer and are just as important as the price. The majority of home sellers will accept whatever has the best combination of both price and terms. This means in a situation with multiples that are all at or near the same price a seller will choose the one offering the terms that best suit their needs. Finding out what a seller is looking for and customizing your offer with those terms is our first line of defense to stand out in the crowd. You’d be surprised how many home sales I’ve represented where we’ve gotten dozens of offers but only a few buyer’s agents bothered to call me to find out if my seller had any specific needs. I’ll let you guess which offers usually move to the top of the stack. About 1/4 of home sales in Southern California right now are cash. With that stat in mind we can assume if there are multiple offers on the table there’s a good chance at least one is cash. If your offer is being funded with a loan it will inherently include more contingencies and a longer close than someone offering cash, which translates to a seller as more risk. It’s a tough pill to swallow but with 2 similarly-priced offers side-by-side the seller is going to pick the one with the least risk. If you’re up against cash offers the most obvious way to compensate is by offering a higher purchase price – many sellers are happy to absorb a little more risk if it ultimately means more money in their pockets. It also helps to be as flexible as possible with things like your move-in date and requested repairs. Lastly we’ll work closely with your trusted local lender to get your loan on the fast-track, tightening your loan and appraisal contingencies and even removing them entirely in some cases. Now we’re cookin’! The Los Angeles market moves at lightening speeds – a character home in an up & coming area may get dozens of offers before the first open house and go off-market in less than a week. It can be overwhelming as a new buyer, but solidifying your finances ahead of time will put you at a huge advantage over the masses which aren’t as prepared. It’s fun to window shop, but there’s nothing more heartbreaking than seeing someone fall head-over-heels in love with a home they’ve decided is “the one” and then miss the boat on putting in an offer because they didn’t have their paperwork ready on the back-end. Before you start browsing listings and visiting open houses you should have a pre-approval letter from a local lender and/or have your cash affairs in order, keeping funds needed for inspections, down payment, and closing costs in mind. If you still need to file taxes for this year or will be borrowing funds from a relative now is the time to explore doing so. Avoid online mortgage calculators – they’re fun but they don’t usually account for your credit score (which affects your interest rate), PMI, local property taxes, homeowners insurance, or a host of other things a real-life loan officer could better assist you with. I know it’s hard – you’ve got that pre-approval burning a hole in your pocket and rates feel like they’re going up by the hour. Your friend who bought a home last year already has $100k in equity because values are rising so fast. This is so exciting! Do yourself a favor . . . breathe. Our market tends to come in waves – you may not see a home within your price-range in a certain neighborhood for many weeks, then suddenly 5 pop up on the same day. Keep your eyes on the prize, don’t burn yourself out considering homes that aren’t what you really want just because that’s the only thing on the market today. Remember we’re looking for Mr. Right, not Mr. Right Now. Keep in mind many homes are purposely underpriced to attract multiple offers quickly – don’t let yourself get hung-up chasing the dream of an unbelievably low asking price. Think of the LA real estate market like ebay and think of asking prices simply as starting bids. We’ll discuss your budget and must-haves, pulling comps so you can see what similar homes are currently selling for and what kind of jump to expect in asking price vs selling price. You can trustingly shop with these comps in mind – if recent sales tell us to expect to pay a certain price for a home in a certain neighborhood with a certain level of finishes, that’s what a home will end up selling for regardless of how low it’s been initially priced. My goal is to arm you with an understanding of the market so you can purchase a home with confidence. While other buyers are getting into an emotional frenzy over their offer on a home that was comically underpriced and subsequently sold $100,000 over their budget, you will be cool as a cucumber because you walked into the situation with realistic expectations. You came in armed with your paperwork and a basic understanding of the home’s value, you tightened your terms wherever you could, and you offered accordingly. Pat yourself on the back, you are a soon-to-be home-owning badass!